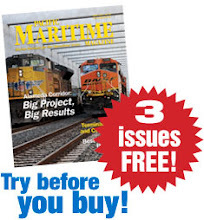 Pacific Maritime Magazine Online: What Were They Thinking? Sometimes when researching a topic for my column, I come across a case that makes me question the thought processes of the person who brought it and his lawyer. To start the new year, following are a few recently discovered cases in which the parties and their counsel attempted and failed to put a new spin on well-established maritime law applicable to seamen. McClendon v. OMI Offshore Marine Services, 807 F.Supp. 1266 (E.D. Tx 1992), involved a personal injury sustained by McClendon while he was acting as a caretaker of a tug in a dry dock undergoing repairs. McClendon decided to practice alchemy while waiting for the tug to be able to return to service. He obtained an ounce of mercury from a friend and placed it in a potato which he then baked in a very hot oven in the tug’s galley, intending to turn the mercury into gold. Instead, McClendon sustained an injury by breathing the mercury vapors escaping from the oven. McClendon hired a lawyer who reasoned that because McClendon was a seaman injured on a tug, he was entitled to compensation. The court disagreed. Under federal law, a crewmember injured while working aboard a vessel in navigation due to the unseaworthiness of the vessel or the negligence of the vessel owner, is entitled to compensation for his injury. However, the court denied a recovery to McClendon because the tug was in a dry dock undergoing repairs and not in navigation at the time of the injury. Moreover, the court noted it had not been able to find, and Mr. McClendon’s lawyer did not cite, any case holding the practice of alchemy was within the duties of a seaman acting as a caretaker of a vessel in a dry dock. Seamen who are injured in the service of a vessel in navigation are entitled to recover “maintenance and cure” from their employers. “Maintenance” is a daily living allowance and “cure” is the payment of bills for medical treatment necessitated by the injury. Whether a seaman was injured in the service of a vessel has been the subject of creative, but not always successful, legal arguments. In Bilozur v. Royal Daiquiri’s Inc., 2007 AMC 685 (E.D. La 2007), Bilozur was an employee of Edison Chouest Offshore. He joined the M/V Seacor Reliant on May 5, 2005 and signed off the vessel on June 7, 2005. After Bilozur signed off, he could do what he wanted. He chose to stay in a nearby dormitory where ECO employees could stay for free if space were available. From June 7-10, 2005, Bilozur participated in a training course at the ECO facility. Completion of the course was a condition of Bilozur’s employment. He could take the course for free at the ECO facility or for a fee at any Coast Guard facility. After the course was over, Bilozur went to a restaurant/bar to have dinner and plan a fishing trip with a friend. After drinking four beers and liquor, Bilozur noticed a hostile environment at the restaurant/bar and left. Another patron believed Bilozur was asked to leave because he had been harassing others. A seaman’s right to recover maintenance and cure is not dependent on his employer’s fault. However, the right to receive maintenance and cure may be forfeited under certain circumstances, such as when a seaman intentionally injures himself. In Discovery Sun Partnership, Ltd. v. Kapsomenakis, 2000 AMC 2402 (S.D. Fla 2000), Kapsomenakis was fired from his position as a seaman aboard the vessel Discovery and was asked to leave. Instead of leaving, he stood on freshly painted stairs inside the engine room. An oiler then observed him holding onto the handrails and dragging his feet down the stairs. After his feet were on the deck, Kapsomenakis struck his head against a door frame. He also attempted to pull a fire extinguisher from the wall onto himself. Kapsomenakis’s employer moved for summary judgment. It argued Kapsomenakis was not employed by the company at the time of the injury and even if he were, it had no obligation to pay him maintenance and cure because the injury was intentionally self-inflicted. The district court held the plaintiff’s “blatantly willful conduct” precluded him from recovering maintenance and cure. Because of that finding, the district court did not need to rule on whether Kapsomenakis was actually an employee at the time of the injury. In Park v. Alakanuk Native Corporation, 1995 AMC 377 (D. Ak. 1994), Alakanuk hired Park to be the caretaker of its vessel which was awaiting disposal. Park’s duties included checking lines, checking bilges, and maintaining the ship’s generator. Park received a daily stipend and groceries, and was allowed to live aboard the vessel. He was warned against the use of alcohol and instructed not to leave the vessel unattended while the generator was running. Alakanuk authorized Park to hire someone to assist him with the installation of a compressor. Park hired an 18 year old, Schwin, who remained on board with Park after the compressor was installed to help keep watch over the vessel. Park had responsibility for the vessel 24 hours per day. One day after spending many hours working on the vessel’s generator, Park and Schwin left the vessel unattended and drove in Park’s truck to a bar and restaurant approximately eight miles away. They spent many hours there socializing and drinking. Park admitted having consumed multiple beers. The bar would not serve alcohol to Schwin because he was underage. However, Schwin had a bottle of whiskey in the truck, which Park knew about. Schwin left the bar to go outside from time to time during the evening. He and Park also smoked marijuana. Both Park and Schwin were intoxicated when the bar closed at 5 AM. They argued about who should drive the truck back to the vessel. Park allowed Schwin, who did not have a driver’s license, to drive. Park then sat in the passenger seat, buckled his seat belt, and fell asleep. Shortly after leaving the bar, the truck left the road and came to rest upside down in a used car lot. Park and Schwin were seriously injured. Park sued Alakanuk for injuries suffered in the car wreck on negligence and unseaworthiness theories. He also sought maintenance and cure, unearned wages, and punitive damages. Park did not win and was required to pay Alakanuk’s costs. The district court held Park was not “in service of the ship” or in the course of his employment at the time of the injury, prerequisites to recovering maintenance, cure and unearned wages. The court recognized a seaman might, under certain circumstances, be in the course of employment while engaged in recreation ashore. However, it held Park was not in service of the ship while he was in the bar with Schwin. Nor was he acting in the course of his employment doing the work ordered by his employer while in the bar with Schwin. The court also held Park could not recover for his injuries because they were caused by his own breach of duty and choice to proceed on an unsafe course of action. Finally, the court held that although a seaman may recover from his employer for injuries caused by a co-worker’s negligence during the course of his employment, Park could not base a claim on Schwin’s negligence because Schwin was not in the course of his employment when the accident happened. US law is quite favorable to seamen who are injured while in the course of their employment on a vessel. However, seamen who make poor decisions and put themselves in peril lose the benefit of the favorable law and must bear the consequences of their actions. Marilyn Raia is of counsel in the San Francisco office of Bullivant Houser Bailey. She has been certified as a specialist in admiralty and maritime law by the State Bar of California Board of Legal Specialization. She can be reached at marilyn.raia@bullivant.com.